Silo control systems are generally used in silos which are loaded by pneumatic conveying systems especially from bulk solid trucks. Silo filling, silo level tracking and silo discharging are handled by silo control systems. Required silo equipment are operated, safety devices are taken and necessary information is given to the operator by the silo control system. – The electricity of air compressor of bulk solid tanker truck is supplied by silo control system. – Silo top air vent jet filter, silo pressure sensor, silo level sensors, pinch valve and other devices are connected to silo control system. – Pinch valve is attached to the inlet of silo loading pipeline. It controls the flow of material to the silo. 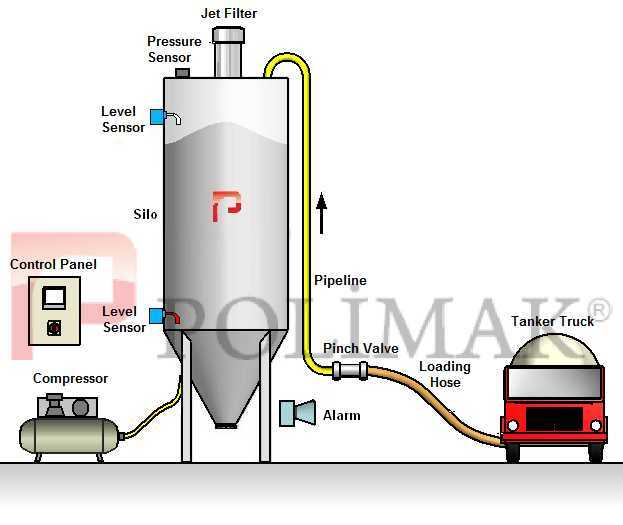 – When the system is started, it checks the bulk solid level in the silo. If the silo is full, it does not give electricity to the bulk solid tanker truck. – If the silo level is low, first the silo vent jet filter is operated. After that pinch valve is opened. At last electricity is supplied to tanker truck compressor. – Silo level, and silo pressure is continuously measured during silo filling. – If the pressure inside the silo is increased too much, the electricity supply of the tanker truck is cut. At the same time silo pressure relief valve is opened to decrease the silo pressure and alarm signal is given to the operator. – If the tanker truck compressor receives the power supply from another source and silo loading cannot be stopped, then the pinch valve is closed automatically to stop material flow. – After the silo is filled, the silo jet filter continues to operate for some time and stopped. – The silo control system also controls and checks the pressurized process air required for silo vent filter and pinch valve. – If required amount of pressurized air cannot be supplied, the system warns the user by alarm. This makes troublefree silo filling operation. – The silo control system can also control the silo discharge process. Bulk solid in the silo can be discharged into another truck by loading bellow. It can be transferred to another silo or process equipment by screw feeders, pneumatic coneying systems or mechanical conveyors. – It provides dust free and clean air in the region. – It maintains silo safety. – Safety of industrial plant is maintained. – The bulk solid level in the silo is controlled. – Silo overfilling is prevented by using silo level sensors. – The operating life of silo equipment is increased. – Silo filling time is decreased. System is controlled by an operator panel. The silo level switches, jet filters, pinch valves, tanker truck power supply, silo pressure sensor, compressed air supply, alarm conditions are checked and operated continuously. All operation parameters can be adjusted by the user. Silo operations are handled by a PLC controller. Silo level switches (sometimes called as silo level sensor) are used to monitor the bulk material level in the silo. A rotating paddle on the sensor is submerged into the silo. When the product fills the surroundings of the paddle, it can not rotate anymore. And a signal is generated to indicate that the level is over the position of level sensor. Silo pressure sensors are used to measure the air pressure level within the silo. 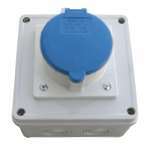 It sends signals to silo control systems or automation systems to indicate the pressure level. Compressed air pressure is checked continuously to maintain air to silo vent filter and pinch valve to ensure silo safety. If there is not enooufh air pressure system alarms the user and cuts power supply of bulk truck. 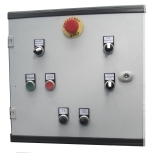 Silo control system sounds and light alarms in case of any problem. Electricity plug used to supply power top tanker truck air compressor. It is energized by silo control system. 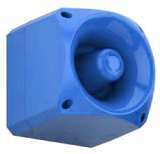 Pinch valves are used to control the flow of bulk solids in pneumatic conveying lines. Actuation of the valve, the pinching action is accomplished by air pressure placed on the sleeve. The flexible sleeve tightly closes the line. When the valve is open, there is no internal parts or geometries that can block or slow down the flow.